I’m proud to be the husband to Giles, a wonderful woman and opera singer who performs under her full name, Dorcas Giles. We met in college and decided to spend our lives adventuring together. Together we love cool neighborhoods, old houses and our boys, #PintSizedPadre (the human) and Bear the rescue dog. I’m a native Michigander and I’ve called Midland –> Gladwin –> Traverse City –> Hillsdale –> Novi –> Detroit home. I love Michigan. If you haven’t been here, you are missing out. For the first decade of my post-college life, I had the privilege of being a small part of the Detroit Cristo Rey High School story. I kept the IT running, I taught some classes, and I had the honor of working with some awesome people and students just down the street from my house. More recently I’ve been working as a managed services engineer for a Michigan-based company. If you want to know more about my technology world, Check this out. I was once an ordained minister but I’ve since retired (see, I almost died this one time and it shifted some stuff in my life). I love to study and talk theology but I don’t do it a whole lot online. I think it’s best saved for in person. That said, I’m academically inclined and love to talk about church history and theology. I’m also a family genealogist and love helping people dig up interesting stories about their heritage. I am a baseball nerd and I’ve got a vision of heaven that is sitting in a kitchen with my great-grandfather Henry, my dad, Ernie Harwell, Vin Scully, Dan Dickerson, Greg Hilis and C. Trent Rosecrans talking baseball until St. Peter is annoyed with us. 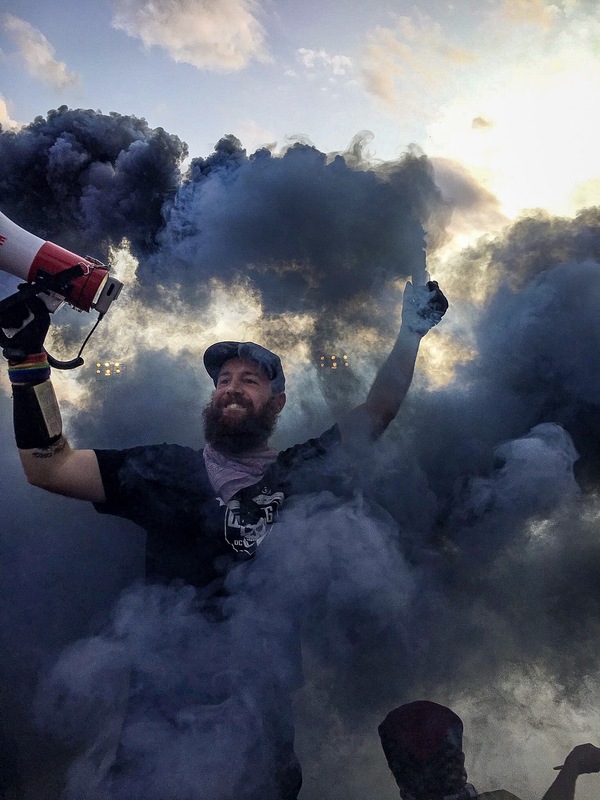 I am a capo in the Northern Guard Supporters of Detroit City FC. The explainer is here. Like millions of people, I’ve got depression and anxiety issues but I’ve learned/am learning to work with it. I wrote about my depression once and it seemed to encourage a lot of struggling people. TWLOHA and IMALIVE have helped me and I highly recommend them. I was born in the 80s but have a soul that was born in the 1950s. I prefer old music, musty books, and a conversation on the porch. I don’t watch the latest TV shows, I don’t know most popular music today, and a bunch of teenagers used to tell me that I look just like Justin Timberlake. I write and have contributed to a few online places like Huffington Post, but most of my “greatest hits” are contained on the writing section of this site. I don’t have a book for sale or regularly scheduled presentations, but if you’re interested in a specific project or event we should definitely talk.